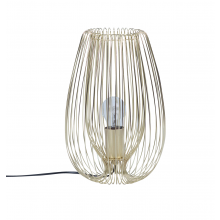 This innovative fixture uses its simple yet stunning satin brass wire shade to create incredible light patterns on the ceiling and other area surfaces. 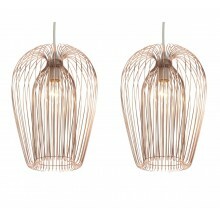 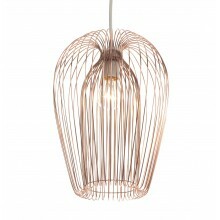 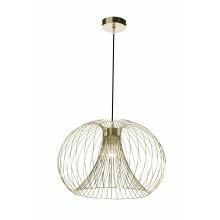 The satin gold wires of the shade are curved to create a double-layered wirework pendant. 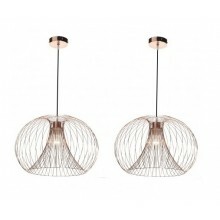 This product is also compatible for use with a dimmer.